Massey Energy Co. announced the appointment of Andrea Penengo as head of its new European sales office. Great Plains Energy and KCP&L announced the promotion of Terry Bassham to executive vice president of utility operations. Bassham will succeed John Marshall, who will retire at the end of July. Succeeding Bassham will be James Shay, who has been appointed senior vice president of finance and strategic planning and CFO. KCP&L also named Heather Humphrey senior director of human resources and Ellen Fairchild senior director of investor relations and assistant corporate secretary, assuming roles currently held by Barbara Curry, senior vice president of human resources and corporate secretary. Curry has announced her retirement. American Electric Power has made the following executive leadership changes: Charles Patton has been named president and COO of Appalachian Power. He will succeed Dana Waldo, who is retiring from the company. Patton also will oversee the operations of Kentucky Power. Tim Mosher, president and COO of Kentucky Power, also is retiring from the company. Venita McCellon-Allen has been named president and COO of Southwestern Electric Power Co. She will succeed Paul Chodak, who will move to Indiana Michigan Power as president and COO, replacing Helen Murray, who is retiring from the company. Pablo Vegas has been named vice president and chief information officer. He will succeed Velda Otey, who is retiring from the company. McCellon-Allen also will coordinate the operations of AEP Texas. Kentucky Community and Technical College System has named Dr. James Klauber as the new Owensboro Community and Technical College president. 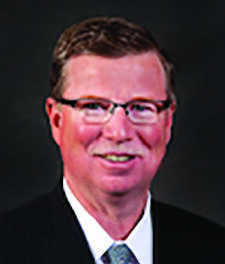 Klauber currently serves as senior vice president and general counsel for Piedmont Technical College in South Carolina. Marston recently announced that Dale Halley has been promoted to vice president of engineering services for the firm’s Denver office and Carl Fessenden was appointed consulting engineer. Joy Global Inc. announced Eric Nielsen has been appointed executive vice president of business development with primary responsibilities for strategic planning and acquisitions. Kennametal Inc. announced the appointment of Gary W. Weismann as vice president and president, business groups, assuming responsibility for the company’s two business units worldwide. Paul Demand, who served as vice president and president of MSSG, has left the company to pursue other opportunities. E. Minor Pace, of Mount Vernon, Ill., who earned his bachelor’s degree in mining engineering from Virginia Tech in 1943, is a 2010 inductee into Virginia Tech’s College of Engineering Academy of Engineering Excellence. The Academy of Engineering Excellence was founded in 1999 by F. William Stephenson, past dean of the college of engineering, and the College’s Advisory Board. This year marked the 11th anniversary of the first induction. While working for Inland Steel Coal Co., Pace served as vice chairman of the Kentucky Coal Institute, chair of the Illinois Coal institute, chair of the Coal Division of the Society of Mining Engineers, and as a member of the board of directors of the Society of Mining Engineers (SME). He received two national awards: SME’s Percy Nicholls Award, and the American Institute of Mining Engineers’ Erskine Ramsay Award, for his contributions to the industry. He also received the Distinguished Engineering Award. Among his numerous impacts, he worked with Inland’s research department to break coal into uses for steam and metallurgical needs. He also helped bring about a process for furnishing coal that was low in sulfur content to power companies. In 1986, Pace received the Distinguished Alumnus Award from the Virginia Tech Mine Department. He is also a member of the University’s Caldwell Society.